Axiomtek has this week introduced a new addition to their range of Mini-ITX motherboards, in the form of the newly launched MANO842 Mini-ITX Board. 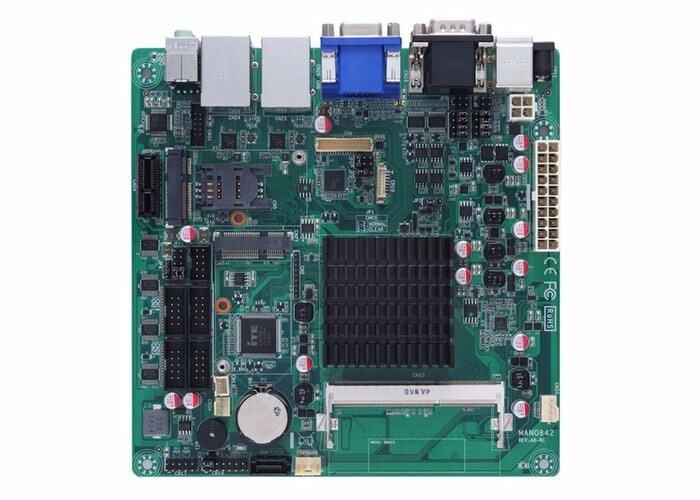 The Axiomtek MANO842 Mini-ITX board is equipped with a Bay Trail Celeron J1900 a quad-core, 2.42GHz SoC with a 10W TDP that can be supported by up to 8GB of DDR3L-1333 RAM. The motherboard supported the use of a variety of operating systems including Linux Ubuntu, CentOS, Red Hat, and Debian as well as Windows 7, 8 and 8.1. Although there has no details release as to wether the board will support Microsoft’s latest Windows 10 operating system. Unfortunately no information on pricing has been released as yet but the board is apparently available to purchase from today. For more information on the new Axiomtek MANO842 jump over to the official website for details via the link below.